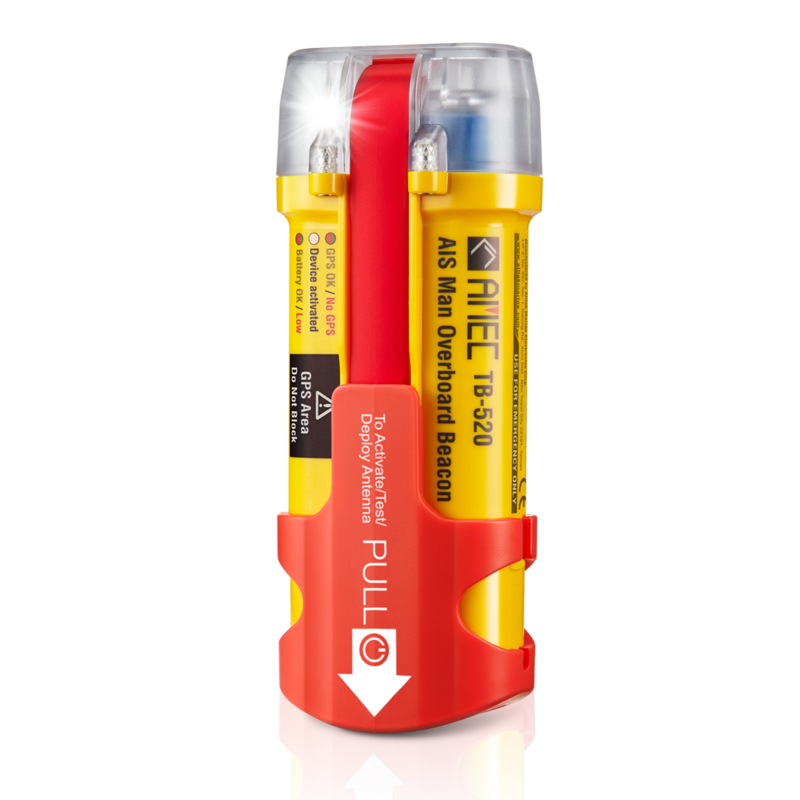 The AMEC TB-520 is a Man Overboard Beacon using AIS technology. It greatly enhances the chance of MOB retrieval by alerting nearby vessels equipped with AIS. In emergency situations, the beacon can be activated either automatically by water sensor or manually and send out alert messages, GPS position information and a unique ID. Its high performance GPS receiver enables the beacon quickly obtaining GPS coordinates. Built with state-of-the-art technology, TB-520 is small and lightweight, easy to use and totally reliable to keep your journey safe and sound.